The now-famous, original EHT blackhole image. The human race was given its first photo of a black hole (M87 to be precise) thanks to Katie Bouman and her team and it couldn’t be a more exciting time for a space-nerd like me. During the reveal, the team was asked when we can expect (even) higher fidelity images and while that will happen eventually – I wondered what would happen if I ran the photo through off-the-self deblurring tools. This is the result of that stray thought. 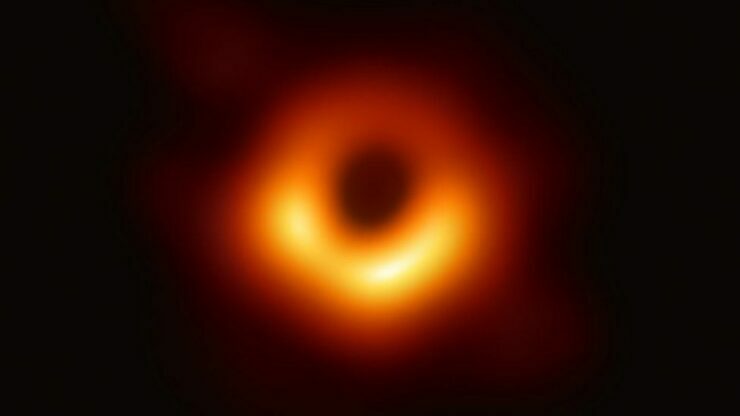 How the black hole picture looks like after going through a de-blurring and focusing algorithm. This is obviously not a perfectly accurate result, it is an approximation – but it seems to be a pretty good approximation. In fact, you can even see what appears to be gravitational lensing happening at the edges a lot more clearly now. Ignore the green boundary on the outer edges – that is simply banding being interpreted as light by the algo. The doughnut-shaped ring is ever clearer and the portions facing us, even brighter – which as far as my admittedly limited understanding goes – is in-line with Einstien’s theory of general relativity. Interestingly, the orbit of the photons around the black hole appears to be warped, instead of being a perfect sphere. I am not entirely sure whether this is the result of general relativity, lensing, or simply the algorithm not being adequate (let me know in the comments if you know!) but it is definitely exciting stuff. The 3D shape of the doughnut is also more apparent now. I think this will have to satisfy my curiosity until we get a second image from the EHT team. Now here’s why I think this is a pretty good approximation. De-blurring tools are fairly reliable if you can stomach the artefacts that result and the loss of spatial resolution but the real reason I think so is because if I apply a blurring filter (using a separate algo) on the simulated image, I can get fairly close to the starting image. This means the simulated image is at least in the ballpark of what an actual image would look like. We can get very close to the actual image by blurring the simulated image – showing us that this is a good approximation. You can see how a simulated blur on top of the simulated focus looks like. Apart from some slight inconsistencies, it is fairly close to the original picture. 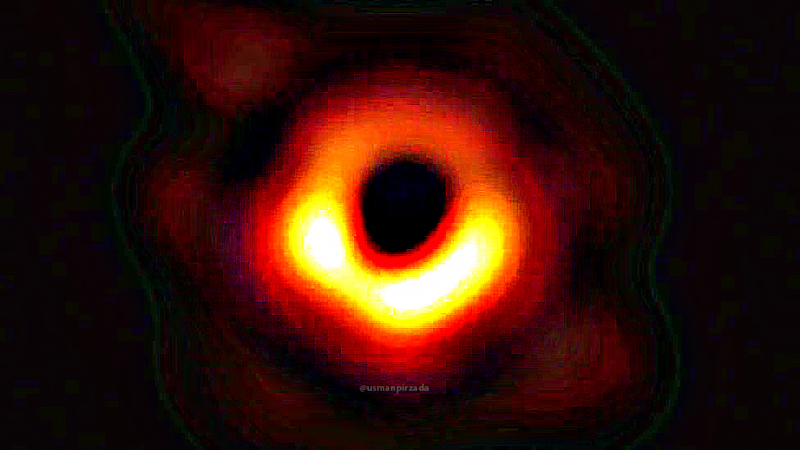 So there you have it folks, an artificially de-blurred and focused image of the M87 black hole captured by the event horizon telescope. Here’s to more awesome science discoveries in our lifetime (and the inevitable deluge of memes that will follow! ).